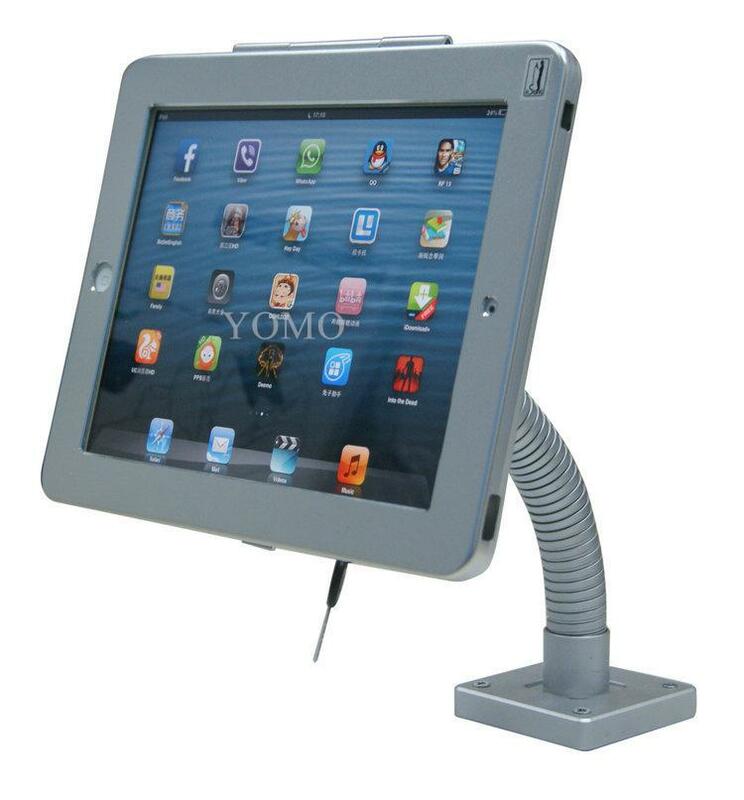 Made for Apple’s iPad tablets, this wall-mounted enclosure is a great choice for interactive projects with limited floor space.It's innovative, lightweight, and affordable. 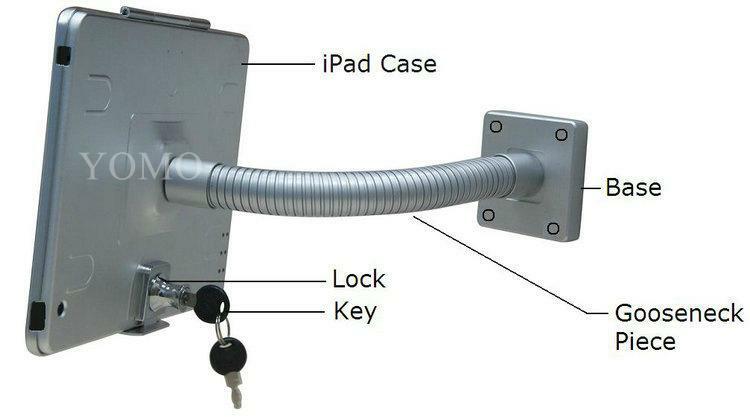 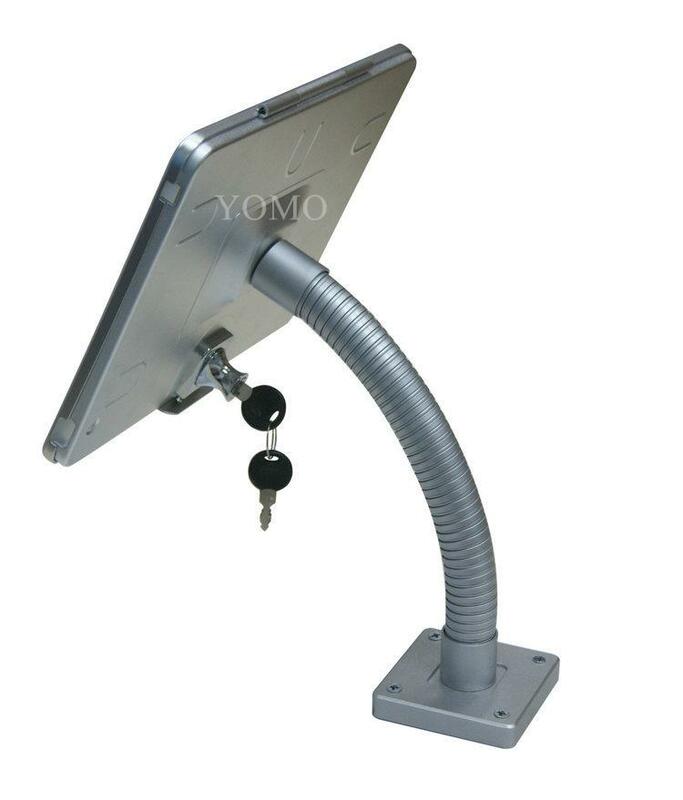 The locking clamshell frame rotates with a unique Swivel Stop feature, allowing you to seamlessly reposition your iPad2, iPad3, iPad4 or iPad Air to wall mount mode. 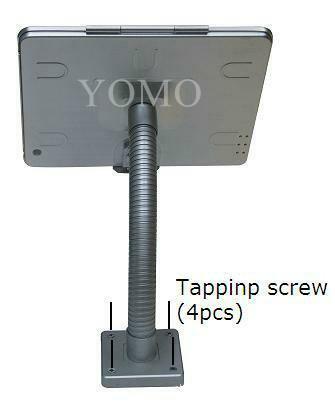 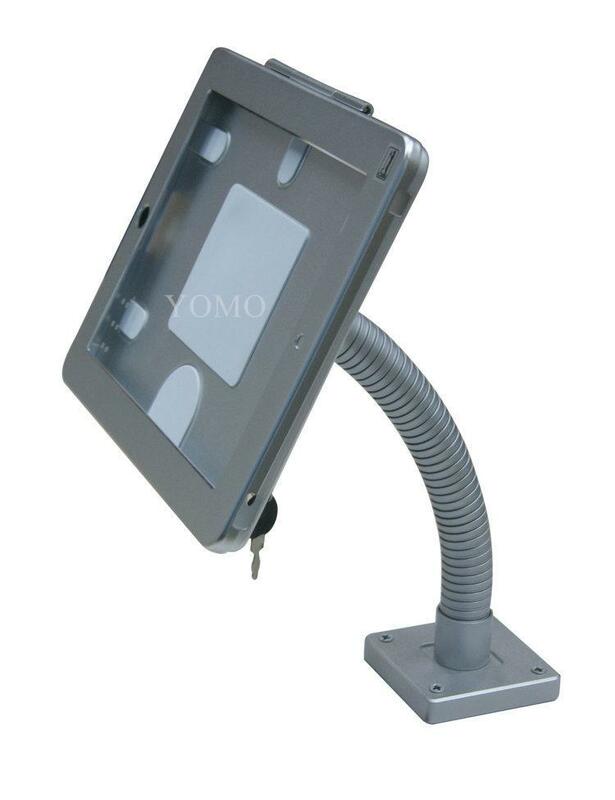 These kiosks are made from durable engineered aluminum and assemble in minutes. 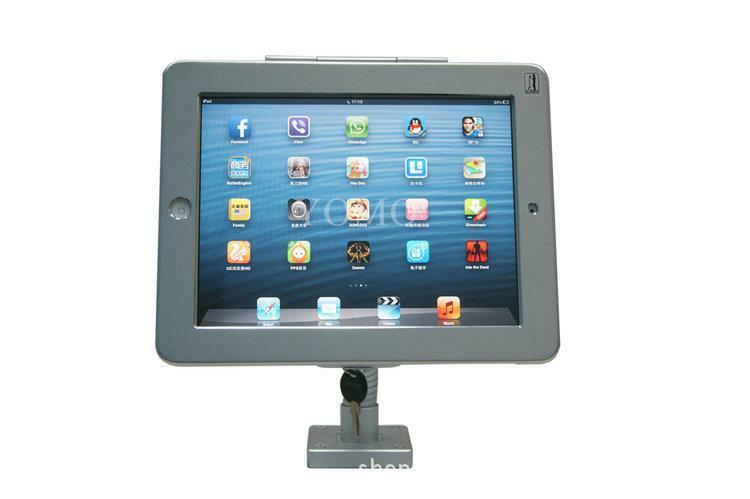 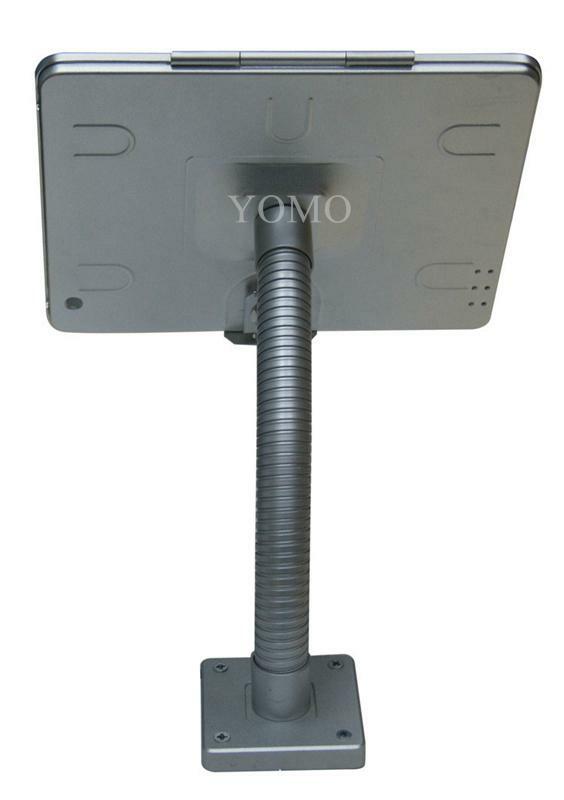 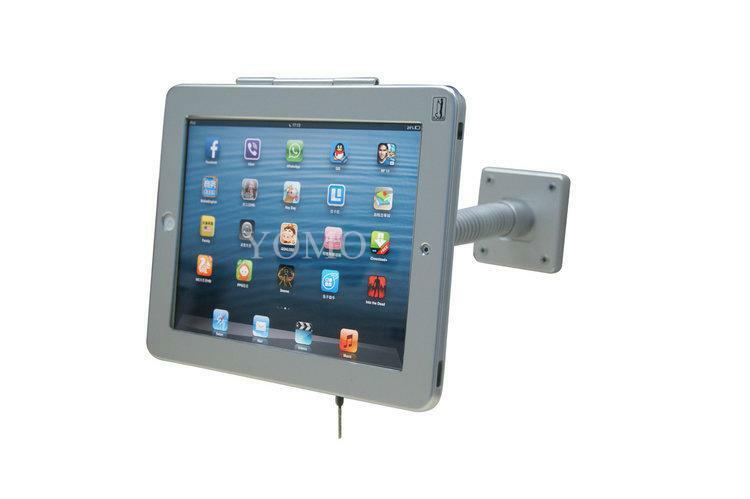 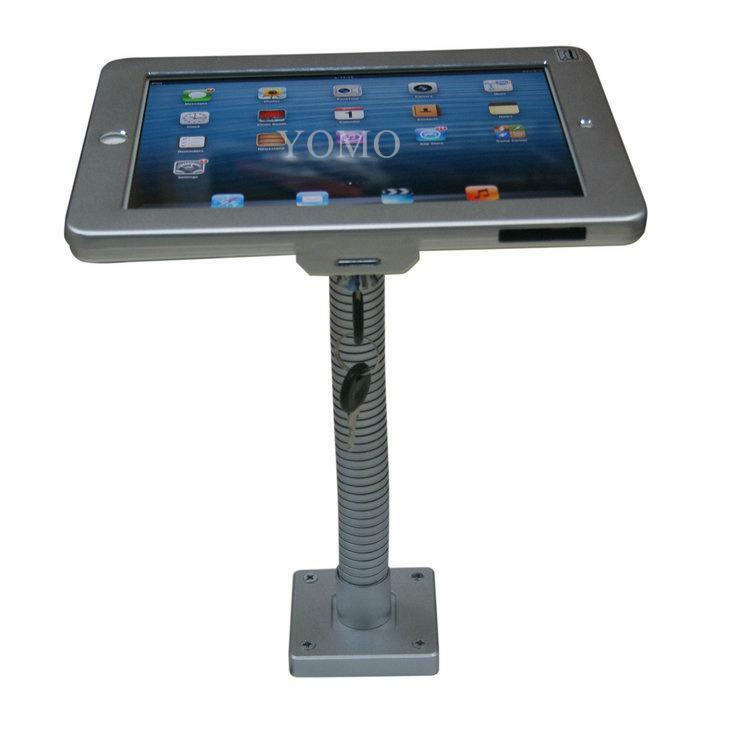 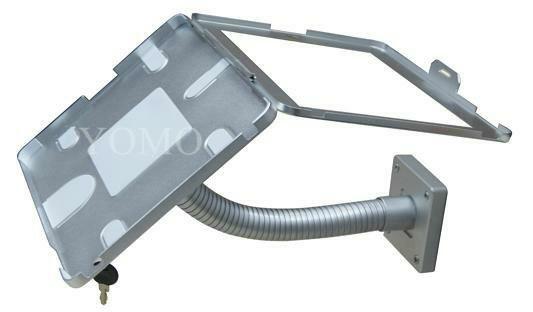 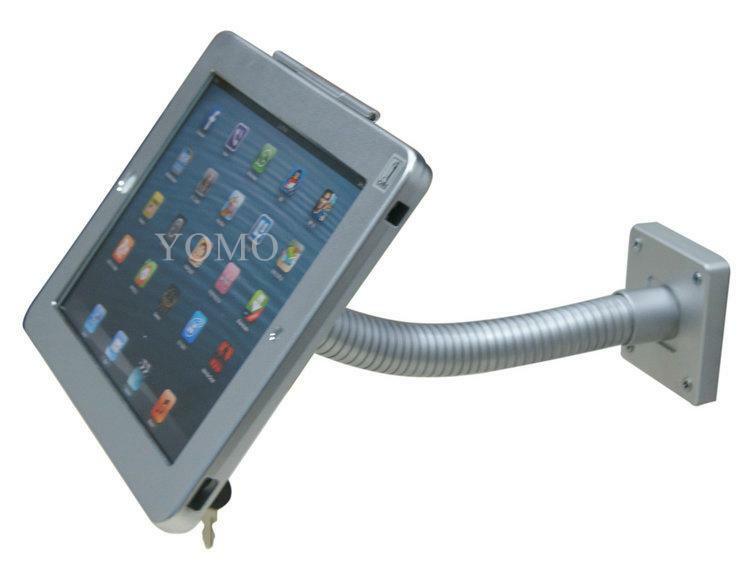 When mounted correctly, the angled mounting bracket is designed to secure and protect your iPad, while placing the screen at the perfect angle for ADA accessibility and visitor interaction.